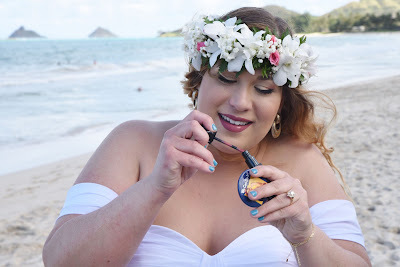 Oahu Bride Linda touches up her lipstick at Kailua Beach. 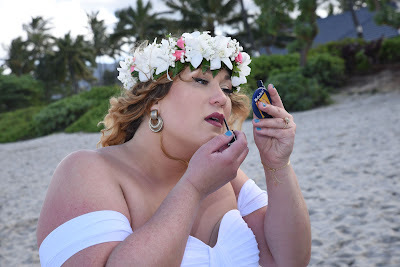 Our Brides of Hawaii gallery doesn't have many makeup photos, but I like these. 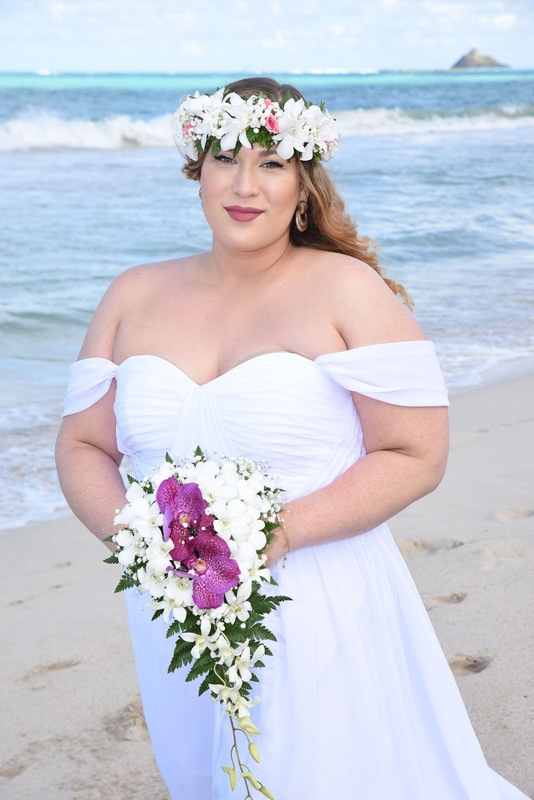 Also notice the Bride's tropical orchid haku lei and flower bouquet.